It’s in spitting distance of Central Station, and just a two minute ferry ride across the river IJ, but to native Amsterdammers, Amsterdam Noord may as well be another world. Lucky for you, you’re not a native. You’re an expat hungry for new experiences and open to wandering off the beaten track. Amsterdam Noord is an up and coming area with plenty to offer. Once a barren wasteland of warehouses and shipyards, Noord is now pulsing with creative energy. With the area only growing in population and popularity, now is the time to venture north, before the area loses its edge and character. Author, journalist, and long-time Noord resident Jeroen Kleijne is so proud of his neighbourhood that he went and wrote a book – Discover the North – with two colleagues to entice tourists and expats across the river. He stopped by for a chat, to give us a few of his best recommendations, and to offer ExpatRepublic readers an exclusive discount. 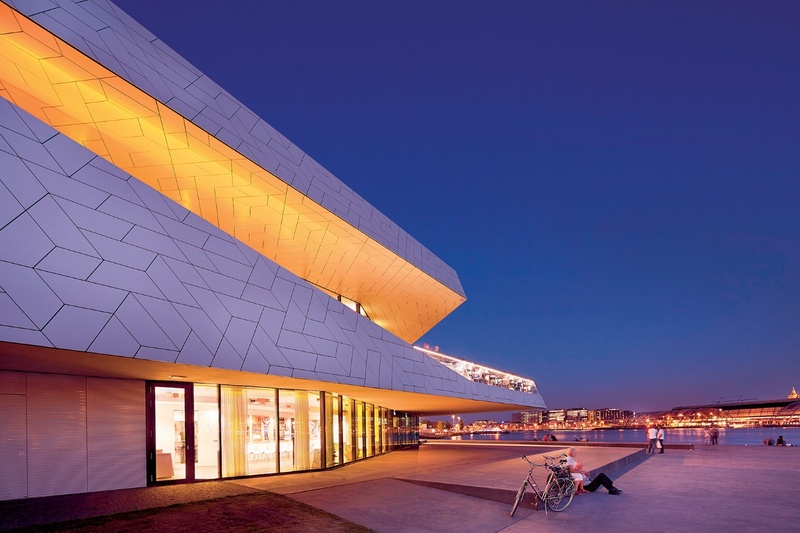 Right off the ferry from Central Station, the Tolhuistuin cultural center offers beer, snacks, cinema, concerts and a program of cultural events that puts most of the city’s venues to shame. The Tolhuistuin occupies a former Shell building, and big oil’s loss here is definitely Amsterdam Noord’s gain. 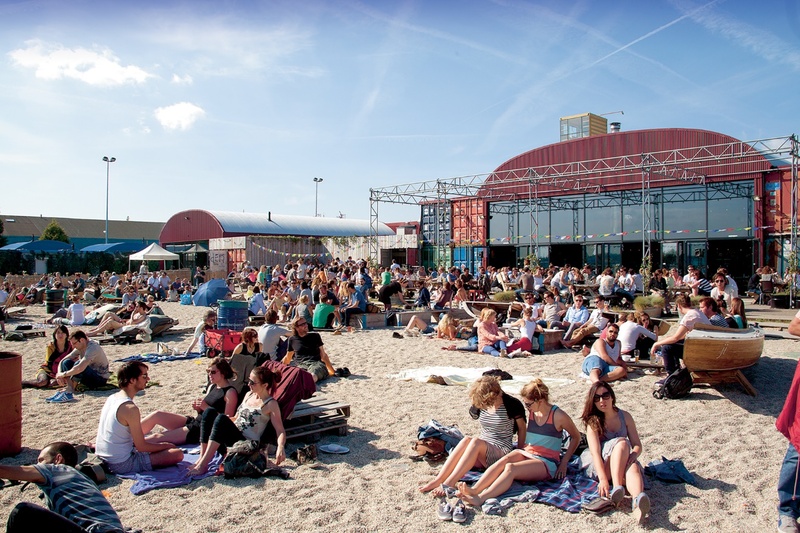 The waterfront is the fastest developing area north of the river, and the Tolhuistuin draws big-name international acts to perform at its Paradiso Noord club nights. There’s always something happening here, so check out the website for more details. It’s a rare day in Amsterdam when the sun pokes out from behind the usual dismal Dutch skies. That said, the city really shines on these summer days, and what better place to spend them than the beach? Pllek is a manmade beach on the shore of the river IJ, and is the perfect place to lazily sip cocktails and work on your tan. 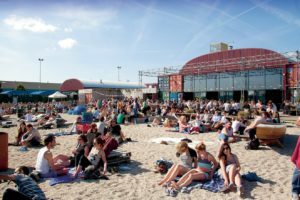 As well as its out-of-place white sand, Pllek – like Tolhuistuin – hosts a plethora of artistic, musical and cultural events. Check the agenda here and don’t forget the sunscreen. Noord’s hip eateries and jam-packed cultural calendar are making it an urban playground for locals, expats and tourists alike. However, sometimes you just have to get away from the buzz and bustle. A few minutes cycle through the suburbs, the urban sprawl melts away into bucolic countryside the moment you cross the city’s A10 ring road. 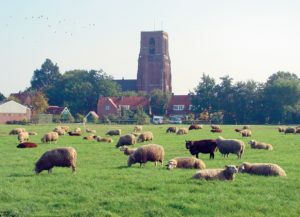 You’ll share the fields with the local sheep and cattle, stop at farms to drink milk fresh from the tap, and wander around beautiful villages like Zunderdorp. Jeroen recommends renting an electric “whisper boat” in the picture-perfect village of Holysloot. Back in the city proper, no spot is more symbolic of Noord’s recent transformation than the NDSM Wharf. In the 19th century, the wharf was Amsterdam’s largest shipbuilding facility. 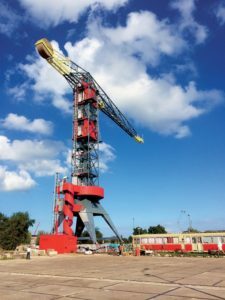 In 1984 the NDSM fell victim to industrial decline and shut its doors. After stagnating for a decade, a vibrant community of crusty punks, squatters, skaters and artists descended on the derelict facility and a slow regeneration started. On this sprawling plot of land you’ll find plenty to eat and drink, including Noorderlicht, with its ramshackle hippy aesthetic. Old hangars have been converted into huge exhibition spaces, and NDSM plays host to several festivals, with Hemeltjelief! Damaris, Voltt and Valtifest getting Jeroen’s recommendation. Companies like MTV and Red Bull have chosen to cash in on the area’s hip factor by setting up their Dutch offices here. Regeneration hasn’t totally killed the NDSM’s edge though. The area is still a haven for creatives, and advertisements haven’t yet replaced the graffiti on the walls. Be sure to check out the IJ-Hallen Flea Market while you’re here, the biggest flea market in Europe. Impossible to miss from central station, the 22-storey A’DAM Toren is the tallest building in Noord. While the tower houses offices, a hotel, a nightclub and multiple bars and restaurants, it’s worth visiting for the view alone. A short elevator ride brings visitors to the 360 degree observation deck, and those with a head for heights can strap into a swing and fly over the building’s edge. Back on ground level, the sweepingly designed EYE Film Institute is a treat for movie lovers. Open late into the night, the institute features four cinema screens, personal viewing “pods,” permanent and temporary exhibitions, and multimedia art installations. “You can find a lot of peace and quiet and green places in the north of Amsterdam,” Jeroen told us. He’s passionate about the area and sees himself spending the rest of his life living here. “I love the area, and have my office over my favorite bar. I intend to stay here as long as possible,” he said. Apart from the big attractions, Noord’s streets are littered with bars and cafes that offer a completely different experience to the overdeveloped city centre. However, word is getting out about the area, and these places mightn’t stay secret for long. Discover the North: The Sunny Side of Amsterdam is jammed with tons more things to see and do, insider tips, and lush photos. Written by Jeroen Kleijne, Klarianne Roseboom and Menno Bosma, you can pick up a copy here, or at several bookstores in the city. Normally only €6.95, mention ExpatRepublic while ordering online for a 1 euro discount.